While the finalists for the 2010 Eclipse Awards, which we be held in Miami on Jan. 17, have yet to be announced, winners of most of the categories are fairly easy to predict. Of course, Horse of the Year is going to provide most of the drama and will be the focus of most of our attention. But we've all made our feelings clear on that last month so no need to rehash it (Please, I beg you not to). As I see it, of the other 11 categories for horses there is only one other that cannot be easily predicted--Male Sprinter. The others are pretty much slam dunks, though I will make a case for Proviso as Older Female champion even though I'm fairly sure Goldikova will win. I think those nine are fairly easy, though I will entertain thoughts on any category you wish to discuss. That leaves Male Sprinter and Older Turf Female. Let me first say that Goldikova is going to win, especially in light of the fact that she won the award in 2009 based on the same accomplishment--that is, winning the Breeders' Cup Mile in her only start in the U.S.
Like everyone, I think Goldikova is a phenomenal racehorse. I love that her connections challenged her against the best milers in the world all year and are willing to ship her to the U.S. to prove that she is the best. The fact that they are bringing her back in 2011 is such a great thing for the sport. It cannot be understated. Though the Eclipse Awards specify that a horse must race a minimum of just once in the North America to be eligible to win, I have always been of the mindset that preference should be given to the horses that are based here. I know not everyone shares that line of thinking, but it's the way I feel. In the case of Proviso, she won four consecutive grade I races at four of the best racetracks in the country--Santa Anita, Belmont, Saratoga, and Keeneland. When is the last time a turf horse won four grade I turf races but did not win an Eclipse Award? I haven't done the research but I'd be willing to bet it hasn't happened very often, if at all. Heck, Gio Ponti pulled off the feat last year and won two Eclipse Awards for his efforts. And don't forget, Proviso also beat males in the Frank Kilroe Mile. Yes, Goldikova is a better horse than Proviso and she proved that in the Breeders' Cup. But I just think a horse that wins four grade I races in this country trumps a winner of one championship race--even though that horse is a superstar. I am probably in the minority there but I will always feel that these are North American awards and horses that win multiple races here should be rewarded. I vote for who had the best campaign, not who I think is the best horse. In my opinion, Proviso deserves it. Big Drama: Five starts, three wins, two seconds. Wins were in ungraded Ponche Handicap, Smile Sprint Handicap (gr. II), and Breeders' Cup Sprint (gr. I). Earnings of more than $1.4 million. Discreetly Mine: Eight starts, four wins, one second. Wins were grade II Risen Star (which it must be noted was at 1 1/16 miles, not a sprint), Jersey Shore (gr. III), Amsterdam (gr. II), and King's Bishop (gr. I). Earnings of $625,000. Majestic Perfection: Six starts, five wins, one third. Wins were in maiden special weight, two allowance races, Iowa Sprint Handicap, and Vanderbilt (gr. I). Earnings of $310,430. The strongest case for Majestic Perfection is that he defeated Big Drama in the Vanderbilt. He was arguably the most dominant sprinter in the nation during his wins, including setting a track record at Prairie Meadows. The negatives are obvious. His campaign was cut short by injury and he only contested one graded stakes. Discreetly Mine also had his campaign cut short by injury, but he still raced eight times. How much, if any, weight should his win in the Risen Star be given? And, he never beat older horses. He was as good as anyone this summer but he never got the chance to race after Aug. 28. 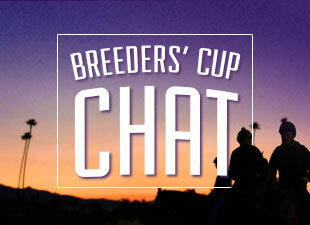 Big Drama is the most likely winner based on his Breeders' Cup win. He didn't beat much in his two wins in Florida at the start of the year and he was beat head-to-head by Majestic Perfection, but in a year where there wasn't a true standout, the Breeders' Cup was probably a true championship race. For the human awards, I admittedly have not done all the research yet, but at first glance I give the slight edge to Garrett Gomez for jockey. His main rivals are John Velazquez and Ramon Dominguez. Gomez has about $1 million less in earnings than his two rivals but has significantly less starts, meaning he's won more big money races including three Breeders' Cup events. A strong case can also be made for Dominguez since he has a staggering 344 wins compared to 235 for Velazquez and 156 for Gomez, and his win percentage is higher than the other two. Tough call. Trainer should go to Todd Pletcher since he dwarfs everyone else in earnings, is winning at a 25% clip this year, and won the Kentucky Derby and three Breeders' Cup events. No brainer there. Owner will likely go to WinStar. They won the Derby and Belmont with two different horses which is enough to win in and of itself most years, and are No. 1 in earnings. I need more time to give an educated opinion on breeder and apprentice jockey.